Herbsmith Clear AllerQi Dog & Cat Supplement has Chinese herbs that cool heat and harmonize the body's defenses to help support normal skin functions. An allergy is a hypersensitivity reaction to food, inhalant or contact. The body's defenses are signaled into an overreaction to a particular substance. 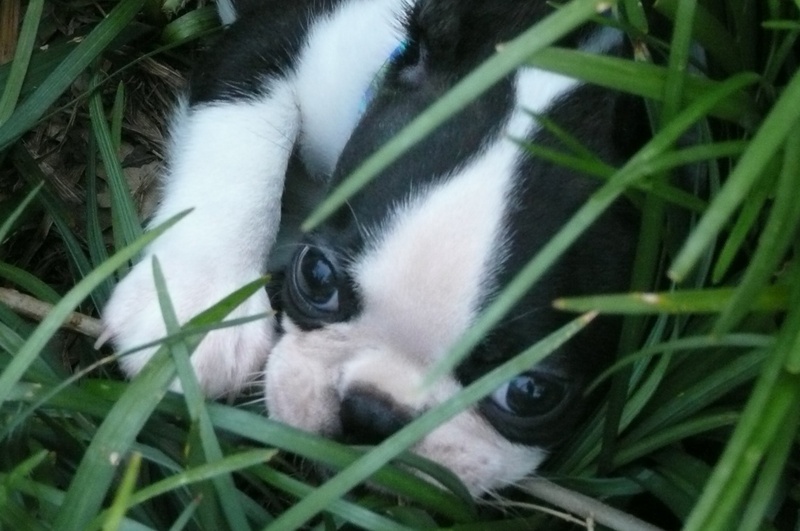 This hypersensitivity often causes extreme heat in the animal, seen as reddened skin, hot weepy lesions, panting, restlessness and skin that may be hot to the touch. All Herbsmith supplements are beneficial for cats, too. According to Chinese medical theory, the liver acts as a pump that provides the smooth flow of energy, or Qi (pronounced "chee"), within the body. When allergies lead to Liver Qi Stagnation, an imbalance within the liver, the "pump" overheats and produces skin that may be hot to the touch. The herbs in Herbsmith Clear AllerQi ® harmonize the liver and clear this heat without hindering the dog's overall vitality. Chinese medicine explains that life is a balance of yin and yang. Yin represents the fluids, maternal, quiet, nighttime and passive aspects of the body. Yang represents the heat, inflammation, active, male, daytime and aggressive aspects. When allergies exist the body is in a state of excess heat, or yang. As the heat increases, it eventually burns off the essential fluids, or yin. This depletion of fluids causes the development of phlegm in a pet. Phlegm is seen in the form of a greasy coat, foul-smelling breath, and eye and ear discharge. 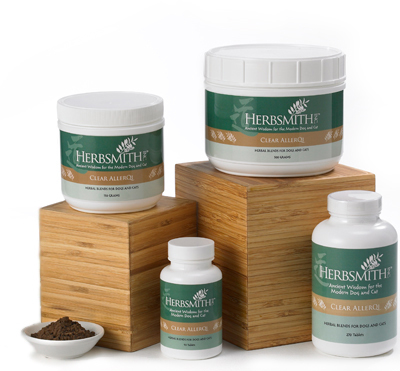 Herbsmith Clear AllerQi ® resolves the heat and excess yang. With proper diet and care, the yin is replenished and healthy skin is maintained. Not for use in pregnant animals. If animal's condition worsens or does not improve, stop product administration and consult your veterinarian. An examination from a veterinarian is recommended prior to using this product. Not for use within 48 hours of surgery/anesthesia. Use caution with concurrent cyclosporin use. Scutellaria (huang qin) - Drains fire and eliminates dampness. Plantago (che qian zi) - Drains heat from the upper burner and eliminates damp heat from the back half of the body. Raw Rehmannia Root (sheng di huang) - Protects the yin and blood. Alisma (ze xie) - Drains heat from the upper burner and eliminates damp heat from the back half of the body. Gentiana (long dan cao) - Drains damp heat especially from the back half of the body. Fructus Gardeniae Jasminoidis (zhi zi) - Drains fire and eliminates dampness. Bupleurum (chai hu) - Disperse heat from constrained liver Qi. Licorice Root (gan cao) - Harmonizes and regulates the actions of the other herbs. Angelica Tang Kuei (dang gui) - Protects the yin and nourishes the blood. Longan Fruit (long yan rou) – Calms the spirit, nourishes the blood, tonifies and augments the heart and spleen. Jujube Seed (suan zao re) - Nourishes heart yin, augments the liver blood and quiets the spirit.